Hrubieszow, town in Eastern Poland, is known for literary critics as the birthplace of famous writer Boleslaw Prus. However, transport experts know the town due to other reasons. The construction of a unique Polish railway with a gauge of 1520 mm had began forty years ago to transport iron ore and sulfur. The works completed three years later in the Silesian city of Slawkow, near Katowice. As a result, wide-gauge tracks stretched for almost 400 km deep into Polish area. The Hrubieszow - Slawkow railway is managed by the freight rail company PKP LHS. The operator took the special niche because other companies do not operate on the line. PKP LHS among freight rail companies in Poland is ranking the second by freight turnover (more than 6% of the market) and fifth (about 4% of the market) by the number of transported goods. We talked with Zbigniew Tracichleb, the director of PKP LHS, to know how the company works, what cargoes carries, with whom cooperates and how it appreciates the prospects of Trans-Caspian corridor. LHS was built for transporting iron ore from Ukrainian mines to metallurgical plant Huta Katowice. Did company's mission change after the collapse of Soviet Union and after the transforming to joint-stock company? es on the line heading to Upper Silesia, destination of iron ore.
At the same time, sulfur was transported in the opposite direction, east. Hence the original name - Metallurgical -Sulfur Line. Since export of sulfur has been terminated, an adjective "broad gauge" appeared in the name of the company. This historical name remained. The new company had to diversify shipments, modernize infrastructure and rolling stock to increase the average speed of traffic and capacity of the line. Today, PKP LHS’s main mission is to satisfy needs and expectations of customers in the field of transport services, as well as effective management of the infrastructure of the Hrubieszow - Slawkow railway line. What cargoes are you carrying now? Which of them have the largest share? How many cargo do you carry a year? We transport various goods since our offer is wide and varied. Most supplies consist of solid goods, such as iron ore, coal, coke, chippings, wood. We can transport liquid goods, e.g. gas and chemical products. We often transport general cargo, for example: metal products, glass, building materials, textiles. There is also possibility to order with our company transport of intermodal units, extraordinary cargoes, i.e. oversized ones - extremely heavy or extremely long. We also transport dangerous goods; of course, such transportations are provided on special terms. In 2011, the volume of cargo carried by PKP LHS for the first time exceeded 10 million tones, out of which iron ore accounted for 53% of this mass. Since then, the volume of traffic has grown and amounted between 2013-2014 in average 10.4 million tones. Is there any difference in cargo traffic towards Slawkow and towards Hrubieszow? Hrubieszow direction represents export and import goes towards Slawkow. We transport various goods in both directions. The only difference is that, as I mentioned, approximately 50 per cent of cargoes carried to Sławkow is still iron ore. Coke and coal are mainly transported in turn, to the east. Companies from what countries are your main clients? Most importers are naturally Polish companies, while exported goods goes first to Ukraine and countries of the Commonwealth of Independent States. As a result, the exporters come from these states. How do you estimate the idea of a new transit corridor between Ukrainian seaports and Polish-Ukrainian border? This topic seems very interesting. Transit corridor between Ukrainian ports of and the Polish-Ukrainian border could be part of so-called the New Silk Road to China. At the same time, the Trans-Caspian Transport Corridor from Kazakhstan to Ukraine via Azerbaijan and Georgia is also interesting for us. Engagement of the PKP LHS in this project could expand opportunities for Polish exporters on new markets, e.g. China and Iran. ArcelorMittal Kryvyi Rih told to the CFTS that it is interested in cargo transportation from ports of Odesa region to its businesses in Europe. Did Ukrainian companies or officials negotiate with you the prospects of this corridor? Or, perhaps, companies from other countries? We are in the middle of talks with potential partners in Ukraine. We aim to expand group of our customers and, on the other hand, to extend the range of traffic. However, until we agree the details we cannot inform about the result of the talks. Are you regarding the possibility to launch the passenger service on the line? Olkusz station is on the half-way between airports of Katowice and Krakow, so it can be a hub for Ukrainian passengers or Polish passengers from Eastern regions. 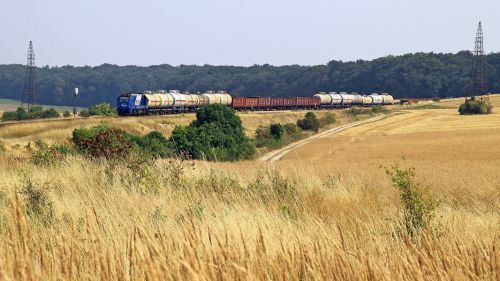 At the moment there are no such plans, due to the fact that the Hrubieszow - Slawkow line and the PKP LHS rolling stock are adapted exclusively to cargo transportation. The line was opened in 1979, PKP LHS was founded in 2000. Did you modernize the rolling stock? And did you buy the new locomotives? PKP LHS together with the Institute of Rail Vehicles of the Cracow University of Technology developed in 2006 its Strategy for renewal of locomotive fleet. Just as in case of infrastructure, adopted assumptions have been consistently implemented. On day of starting its activity the company had 60 active diesel locomotives, including 50 heavy locomotives ST44, 8 heavy shunting locomotives SM48 and two shunting locomotives for 1435-mm track. Currently, PKP LHS owns 77 locomotives, including 61 heavy locomotives for broad gauge. Most of the vehicles are fully modernized in 2007-2011. 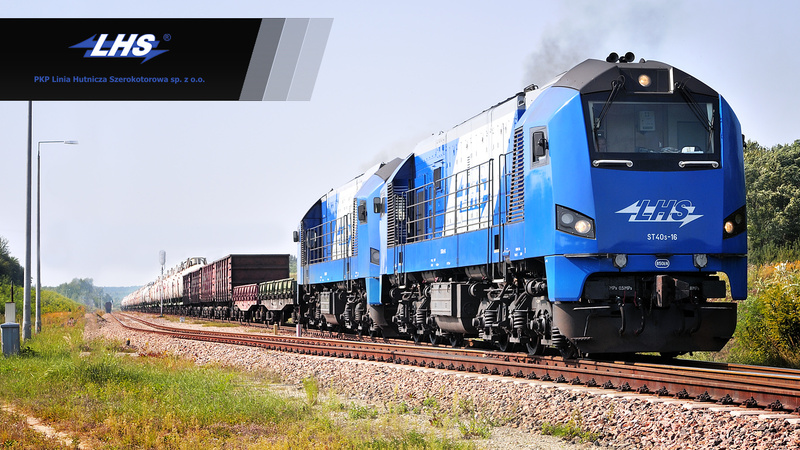 The company implemented the largest modernization program under which Pesa Bydgoszcz and Newag Nowy Sącz modernized a total of 49 locomotives. The last major investment was the purchase of five shunting locomotives SM 48 modernized to the type 16D from Newag. Due to the cost we prefer modernization of locomotives. It should be noted that the modernization is often deep one that includes replacement of engines, fuel tanks, rail wagon buffers, and many other parts. In many cases the modernization also included replacement of the driver's cab to a new one along with equipment and mounting of elements to improve comfort of drivers, e.g. air conditioning.